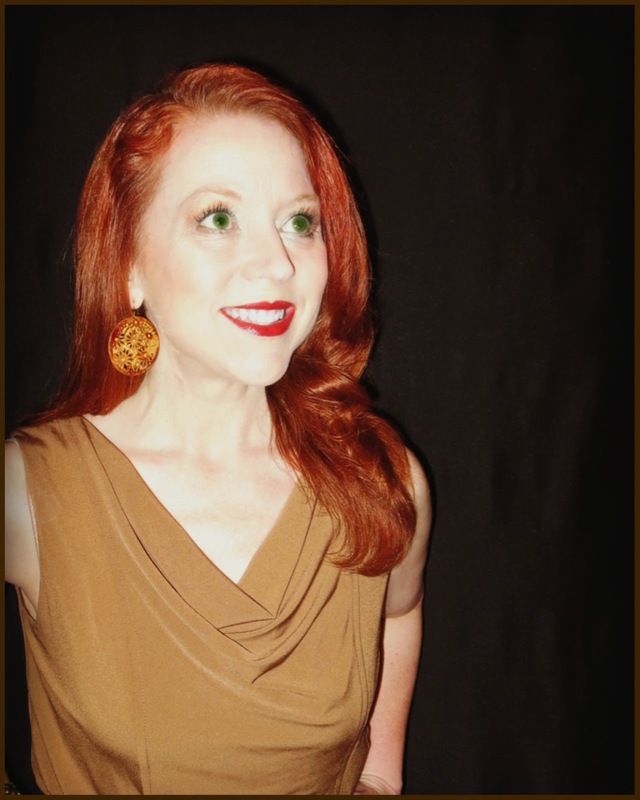 Red's Shoe Diaries: 21 Jump Suit! Jump suits are back, baby! If you give it enough time, everything popular gets recycled. Honestly, though, this is one blast from the past I never thought I'd embrace. And then I went shopping... I ventured into Macy's with a $100 gift card I needed to use or lose. On my way to the dressing room with an armload of things to try,the rich cognac caramel color of this Vince Camuto number caught my eye. Tucked in the back of a rack otherwise full of dresses, I initially thought it was a dress, too. When I pulled it out and realized it was a jumpsuit, I literally laughed out loud. "Yeah, that's not happening." ...and yet, I was sort of intrigued. Curiosity got the better of me so I grabbed it on a lark and whisked it into the dressing room along with the host of dresses I didn't really need. When I put it on and looked in the mirror, I could not resist the urge to immediately strike a classic Charlie's Angels pose! 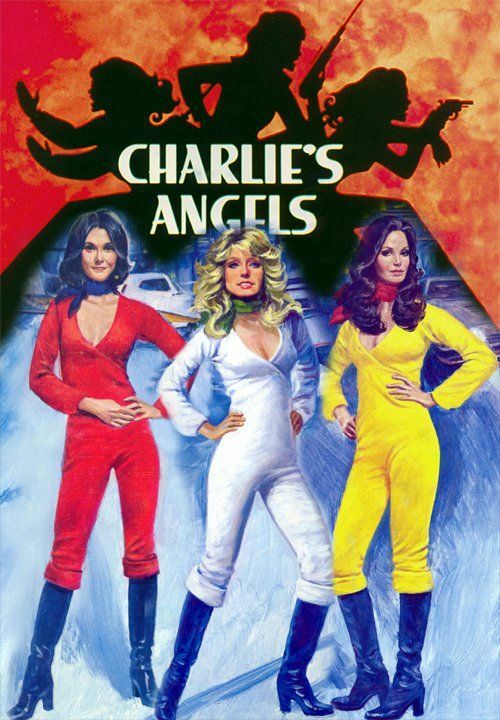 Seriously, the jumpsuit was such a wardrobe staple for Kate, Farrah and Jacquelyn in the the late 70s that even their action figures were outfitted with them. How could I resist channeling their iconic silhouetted power poses?! And why wasn't there a redheaded Angel, anyway? My favorite show in high school was 21 Jump Street (Oh, Johnny Depp, how I loved you), but I have even fonder memories of watching Bosley and the girls outsmart the bad guys whenever I could convince my mom to let me stay up past my bedtime as a child. Like I said, everything popular gets recycled - both of these shows have been remade as modern-day feature movies (with sequels) in the past few years. As for my new jump suit, it was such a spur of the moment, random decision that I half expected to have buyer's remorse and return it. That expectation was reinforced when I mentioned the purchase to my friend, Faith, whose exact words were, "No, you didn't." But, I still liked it when I tried it on at home, and the addition of large, daisy-etched earrings from locally owned gem Grace Boutique; cork-soled Tommy Hilfiger platforms; and a leopard print, calf-hair hobo bag from Michael Kors (all of which were already in my closet) sealed the deal. After wearing it to the office and out to a comedy club, I have to say it's my favorite purchase in the last six months (well, other than my new golf clubs, but that's a different blog post). The only complaint I have, and which never crossed my mind in the dressing room, is how challenging it would be to, ahem, "get rid of" the copious quantities of Diet Coke I can't do without! Next time you're out shopping and something out of your comfort zone catches your eye, don't discount it out of hand. In the words of my fashionable BFF, Deborah Dorman, "Try it, you might like it!"